Palestinian children born in Jerusalem are caught in a web of Israeli bureaucracy and discriminatory restrictions. In Israeli-occupied East Jerusalem, thousands of Palestinian children born to parents who hold different types of identity cards often live their entire youth unregistered and without any form of citizenship or identity documents. The Civic Coalition for Jerusalem has estimated that around 10,000 Palestinian children in East Jerusalem are unregistered (“Jerusalem: General facts and statistics” [PDF]). Considered stateless under international law, Palestinian residents of Jerusalem hold a special Israeli-issued identity card, as well as Jordanian travel documents. Shweiki comes from the al-Thuri area of Jerusalem, where her children — two boys and two girls aged between 18 months and nine years — were born in a local hospital. The children have no identity documents other than a slip of paper acknowledging that they were born in Jerusalem. The document is not a birth certificate and does not include an identification number. Shweiki’s late husband Anwar Khalil Abed Rabbo was from the town of Yatta in the occupied West Bank and held identification documents issued by the Palestinian Authority. Abed Rabbo, just 27 years old at the time, was with another Palestinian man when both were shot and killed by an Israeli truck driver in al-Samu, a village near Hebron, in 2012. The Israeli military claimed that the two were trying to rob the driver. Yet Shweiki insisted that Abed Rabbo was on his way to join her in Jerusalem for the birth of their youngest child that same day. Because Israel continuously denied him entry permits to visit his wife, he used to sneak into Jerusalem. Though Shweiki has demonstrated that Jerusalem is her family’s sole home, the Israeli authorities have continued to reject them. Mohammad Abbasi, Shweiki’s lawyer, explained that Palestinian parents of unregistered children are required to complete numerous registration applications through Israel’s ministry of defense before they can take the issue to court. Shweiki has provided Israeli authorities with “several documents” proving that she has lived and worked in Jerusalem consistently, though she has been accused of moving elsewhere in the West Bank. Because they are unregistered, her children are denied access to basic services. “They cannot get health insurance, [nor can they] travel abroad or within Palestine,” Abbasi said, noting that the children cannot visit family in the West Bank because they will not be able to return to Jerusalem without identification documents. Abbasi said that for the time being, Shweiki’s children were legally permitted to stay with her in Jerusalem. But once they turn 16, they will not be able to attain residency status. Instead, they will have to apply for entry-permits — contingent on extensive Israeli “security checks” that often last a year — to visit their mother. Although three of Shweiki’s children are in elementary school, they will not be allowed to register for high school or university if they do not first obtain the requisite Israeli-issued Jerusalem identity documents. She explained that the children of her brother, who is married to a foreign national, have been prevented from registering in school because they are also unregistered. Palestinian families holding different identification documents are systematically divided by discriminatory laws, such as the “temporary order” known as the Citizenship and Entry Law. “Israel’s ban on family unification and continuous barriers to child registration for families in Jerusalem exist alongside its many other policies working to divide families and diminish quality of life for Palestinians in the city,” Rima Awwad of the Jerusalemites Campaign told The Electronic Intifada. As part of Israel’s ongoing process of expelling the city’s indigenous Palestinian residents to make way for the expansion of Jewish-only settlements, a web of bureaucracy frustrates every aspect of Palestinian life in the city. Awwad said that Israeli policies “serve to achieve its demographic goal of Judaizing the city by dividing Palestinian families and diminishing the quality of their lives.” The policies included “settler expansion and violence, home demolitions, and rising poverty andunemployment rates,” she added. Furthermore, the Israeli human rights group B’Tselem has estimated that between 1967 and 2012, Israel revoked the residency of over 14,000 Palestinian residents of East Jerusalem, forcing them to leave (“Statistics on revocation of residency in East Jerusalem,” updated August 2013 [PDF]). A recent policy brief published by Al-Shabaka noted that similar registration restrictions remain in place on Palestinian children in the occupied West Bank and the Gaza Strip despite the establishment of the Palestinian Authority in 1994 (“Decades of displacing Palestinians,” 18 June 2013). Additionally, Israel recently introduced a new policy to stop issuing birth certificates to children born in Israel to foreign nationals, the Israeli newspaper Haaretz has reported (“Israel to stop issuing birth certificates to children of foreigners,” 20 November 2013). Though she intends to continue fighting to register her children, Shweiki is not optimistic. “Why should I have hope? There’s no hope in [Israel’s] courts,” she said, explaining that she and her children would stay in Jerusalem no matter the results. NABLUS (Ma’an) — Owners of gas stations across the West Bank may be obliged to shut down their stations due to problems with the Palestinian ministry of finance and the General Petroleum Corporation, the speaker of the union of gas station owners said. The ministry is “imposing unachievable terms” by stipulating that gas stations pay the Palestinian Authority in cash in advance before they can receive fuel, Ghassan al-Shakaa told Ma’an. He highlighted that gas station owners had paid the PA 300 million shekels two months ago to help end a financial crisis between the PA and Israeli companies which provide the PA with fuel. Since the recent crisis began, gas stations have been paying in checks that could be cashed in 15 days, however, the ministry is now asking them to pay in cash before they can receive fuel, added al-Shakaa. This is totally unachievable, he continued. Al-Shakaa warned of a new fuel crisis in the Palestinian territory as a result of “mismanagement” of by the ministry. Gas station owners are scheduled to hold an emergency meeting to discuss the situation. They could decide to shut down their stations or take the case to court, says al-Shakaa. He confirmed that the Israeli providers started to reduce supplies to the West Bank. Beyond this, the Jewish experience during the reign of fascist regimes throughout Europe, culminating in the Holocaust, created a strong empathetic urge in Europe to endorse the Zionist project for a Jewish Homeland in Palestine. As is known, this empathy although genuine in many quarters, also exhibited a deferred sense of guilt on the part of the Western liberal democracies that had done so little to challenge the genocidal policies of Hitler and the Nazis, refusing to act at all until their national interests were directly engaged by German aggression. European support was also forthcoming because the Zionist proposed solution for the Jewish Problem, which has long been present in Europe, could be enactedelsewhere, that is, at the expense of non-Europeans. This elsewhere was far from empty and was coveted by others for various reasons. Palestine was a land long lived in mainly by Arabs, but also by some Jews and Christians, and associated centrally with the sacred traditions of all three monotheistic religions. Normally in the modern world, the demographics of residence trump biblical or other claims based on claims of national tradition, ethnic identity, and ancient historical presence. Yet despite these factors, there were ethical reasons in the aftermath of such extreme victimization of the Jewish people to lend support to a reasonable version of the Zionist project as it had evolved in the years since the Balfour Declaration, even if from a variety of other perspectives it was deeply unfair to others and disruptive of peaceful relations, and throughout its implementation, produced an unfolding catastrophe for most non-Jewish Palestinians. Defense Minister Moshe Ya’alon and IDF Chief of General Staff Lt. Gen. Benny Gantz on Tuesday expressed their satisfaction with the IDF’s preparedness for a possible incursion into the Gaza Strip and declared that such an attack would severely incapacitate terror groups. Their statements came amid a recent spike in the number of attacks emanating from Gaza and, subsequently, the number and intensity of Israeli retaliatory strikes. 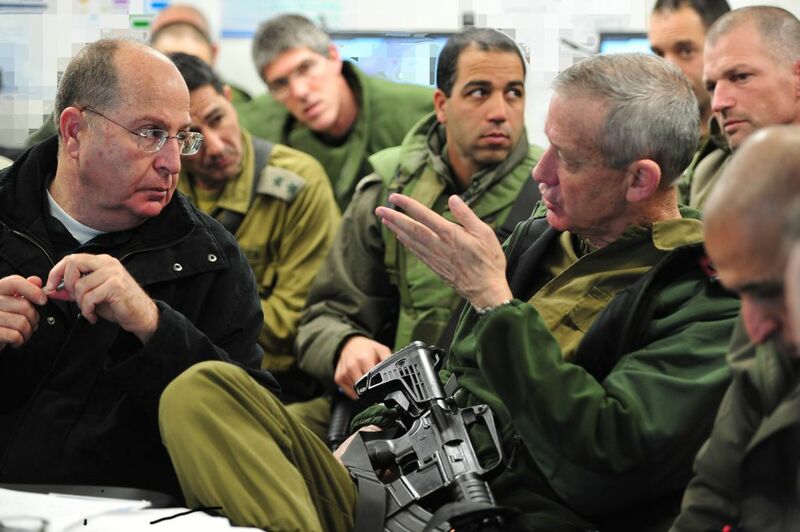 Ya’alon said that the IDF had recently improved its technological prowess in a manner that would contribute to the success of an operation in the Strip. The drill came amid a string of violent incidents on the Gaza-Israel border in past weeks. On December 24, an Israeli worker repairing the border fence was killed by sniper fire from the coastal strip in an attack claimed by the Palestinian Popular Resistance Committee. Hours later, the IAF launched an airstrike on Gaza in retaliation. Five Kassam rockets were fired at Israel in a series of isolated incidents over the past month. The attacks caused no injuries, but the IDF deployed Iron Dome rocket interception batteries to the areas near the southern cities of Beersheba, Sderot, and Ashdod last week. Hamas has fired thousands of rockets from Gaza into the south of Israel over the past decade, causing deaths and injuries and disrupting daily life for the affected communities. The IDF has carried out two large-scale military operations in the Strip — in 2008 and 2012 — in an effort to curb the rocket fire. 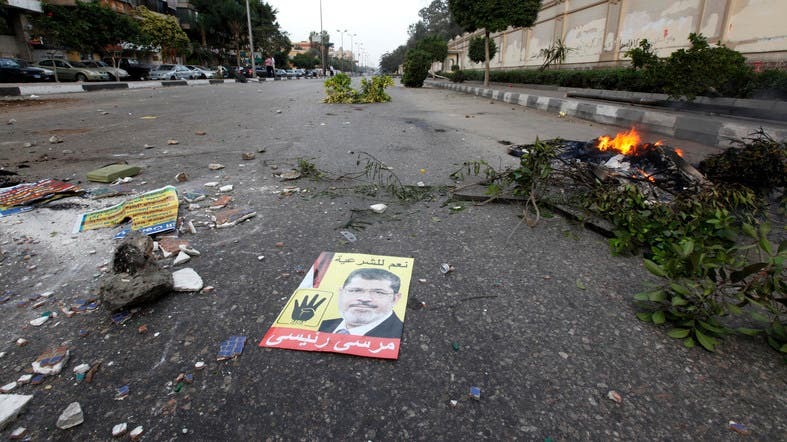 A poster of ousted Egyptian President Mohamed Mursi is seen on ground during clashes between supporters of the Muslim Brotherhood and riot police in Cairo last month. A senior Egyptian Justice Ministry official says the assets of more than 500 leaders of the Muslim Brotherhood, from which the country’s ousted president hails, have been ordered confiscated. Abdel-Azzem el-Ashri said Tuesday that a ministerial inventory committee ordered the “movable and immovable properties” of 572 Muslim Brotherhood leaders seized. The order is part of a wider state crackdown on the Brotherhood, first banned by a court order and then dubbed by the military-backed government as “terrorist” organization by linking it to a wave of terrorist attacks targeting security forces without publicly presenting any evidence. The group denies being involved in the attacks and continues to hold near-daily protests demanding the reinstatement of ousted President Mohammed Mursi, toppled in July 3 after millions rallied against him. Palestinian prisoner Samer al-Issawi, who held a hunger strike for several months, flashes the “V” for victory sign as he celebrates his release from an Israeli jail in the Jerusalem neighbourhood of Issawiya, on December 23 2013. One can only imagine the looks on the faces of Israeli settlers living in Masharef Mountain, near the Hebrew University that overlooks Issawiya, as they watched the celebrations welcoming back Palestinian prisoner Samer al-Issawi. Issawi returned victorious to his village despite Israel’s desperate attempts to ban celebrations. The occupation forces delayed his release for about 10 hours last Monday, December 23, and erected military checkpoints near the village, but young men and Palestinian mothers insisted on welcoming their hero. Let’s be honest, all of us Palestinians, from the president to common citizens, can’t even move from one region to the other without Israeli authorization. Following his nine-month hunger strike amid the “battle of the empty stomachs,” Issawi was released along with 1,026 other Palestinians in an exchange for the return of Israeli soldier Gilad Shalit.He wished to remain loyal to those who lost their lives while planning and conducting the Shalit kidnapping, and didn’t want the Israelis to arrest the liberated prisoners all over again, forcing them to serve the rest of their sentences. From the first intifada until the mid-1990s, Issawi, born 1979, resisted Israeli occupation by setting settler cars of fire and throwing Molotov cocktails. He told Al-Akhbar that he was careful not to be arrested because he wanted to support his family, since his four brothers – Raafat, Medhat, Firas, and Fadi – were held by the Israelis. But all that changed when his brother Fadi was killed in clashes that erupted in Issawiya, following the Hebron massacre in 1994. The day Samer saw his brother in a pool of his own blood was the last straw. Issawi was first arrested in 1998 and sentenced to a year and a half in prison for throwing a Molotov cocktail. He was later sentenced to six months in jail for beating up an Israeli soldier, then he was imprisoned again in 2000 for 15 days at the beginning of al-Aqsa intifada. He was later arrested for six months without charges. “Israeli military attacks escalated during the second Intifada, and we began to hear about airstrikes on Gaza,” said Issawi, revealing that on the first day of his release he joined the ranks of the Democratic Front for the Liberation of Palestine. He formed a five-member cell with friends and conducted 11 shooting operations targeting Israeli vehicles in the Ma’ale Adumim settlement, seven kilometers east of Jerusalem. These shootings caused material damages and injured one Israeli officer. Once Issawi’s role was revealed, the Israelis hunted him down for a whole year and finally arrested him during the 2002 Operation Defensive Shield in Ramallah. Issawi refused to appear before the Beit Eil military court and rejected the presence of an attorney because he didn’t acknowledge the legitimacy of the court. He told the judges that it was more of a traveling circus that the Israelis brought along to every territory they occupied. Issawi was sentenced to 30 years in jail. He wasn’t surprised. Usually sentences in such cases are life in prison, even though no injuries were caused. He said he was confident he wouldn’t serve his entire sentence, and told the judge, “I will be out before 30 years.” Ten years later, Issawi was released within the “Loyalty to the Free Men” prisoners’ deal. Occupation forces arrested Issawi again on 7 July 2012. His interrogation continued for 30 days, following which he was accused of planning to kidnap Israeli soldiers. Meanwhile, the head of Israeli intelligence in the West Bank threatened to send him back to jail to serve the remaining 20 years of his sentence. Issawi realized that he was in a serious situation. Hence, on July 27, he started returning two of his meals and settling for a simple one of two slices of bread and a spoonful of labneh and jam. He maintained this diet for 19 days and was transferred to Nafha Prison. On August 24, he started training his body for an open hunger strike. He wrote a letter to prison services and informed them about his escalation. Back then, he settled for a glass of juice or milk or soup until he cut off food completely and started his open hunger strike on September 14, which also included a strike on water from time to time. Finally, Issawi reached an agreement with the Israelis last April allowing him to return home to Jerusalem within eight months. Israelis resorted to different tactics to try and exhaust Issawi into giving up his hunger strike. They sent him on prisoners’ buses to courts and moved him from prison to prison, forcing him to wait for hours for his jailers. They demolished his brother Medhat’s house and attacked him and his family in court despite his deteriorating health. Samer dropped to 99 pounds and suffered attendant health risks. “When I slept on my right side, I felt numb, and the same with my left side. I also couldn’t sleep on my chest because I had a broken bone,” he said. “Every time I heard about Palestinians and freedom-loving people around the world joining this this battle, I forgot my own pain, mainly after the martyrdom of Mahmoud al-Titi and Mohammed Asfour. There was nothing I could offer them, just insisting on the goals that we put together before the hunger strike. I was also moved by young men protesting for the first time in front of Jerusalem Magistrates Court,” he said. Press TV has conducted an interview with Soheil al-Natour, the Palestinian writer and journalist, about a panel of Israeli cabinet ministers approving new legislation to annex the Jordan Valley region of the occupied West Bank. Press TV: How should we see these apparent mix messages coming out of Israel, from the Israelis I mean, in the sense of you know they are releasing Palestinian prisoners but at the same time they are also annexing Palestinian lands and increasing settlement construction? Al-Natour: Well I think it is widely known these days that every time there is a promise of visit from the American Foreign Minister Mr. Kerry, the negotiations between the Palestinians and the Israelis are in a very big dilemma because Israel is playing some kind of giving the illusion that the actual Prime Minister and his minister of talks, Tzipi Livni are fighting against the other extremists in the cabinet in order to say that this is a hard work, you Palestinians, you have to give us something in order to convince the harsh extremist to accept the continuity of the negotiations and to reach the illusionary peace. I think this is some of the comedy which is dragging since a long time, since the beginning of this round of negotiations. The cabinet is known that every time they want something, they made a pre-condition that every part of the release of the prisoners of the Palestinians which they had to release them before a long time, they make it on installment and they never installment, they are trying to convince that the Palestinians are paying by acceptance of settler colonization of their land in Jerusalem and in West Bank which is false. I think the continuity of the negotiations in this spirit will be very disastrous to the Palestinian cause. I do not accept when they say that this is the condition and that will jeopardize all the Palestinian efforts to reach peace. It is not the way to reach peace. This is a way and a comedy to exert more pressure on the Palestinians side to give more concessions or their inalienable rights in independence, in their reaches in the water, in the land and in the sovereignty and in the right of return for refugees. Press TV: So what is your opinion on this peace talks to begin with considering the Palestinian Authority seems to be quite weak in the face of all these Israeli actions? Al-Natour: Well I think that the Palestinian Authority is in a very big dilemma. They told the Palestinians that they are going to the negotiations because the pressures of the Americans and they do not want to present themselves that they are against the peace and they are the reason not to reach the peace. Now the Israelis are doing everything to pressurize on the Palestinians in order to get the pretext that the Palestinians, they do not want to continue the negotiations, they do not want to give any reason to continue the peace and in this I think the Palestinians are very weak and the way the authorities [are] continuing the peace, on one hand they did not reach the Palestinian national unity again and they are not doing anything positively to prepare for a new round of talks on the Palestinians filter again the unity. Second, they are not applying anything of what they promised of the civil resistance and the peaceful resistance in order to convince the people that we are working for our rights but we are not conceding for the Israelis if they want in a moment to reach the acceptance of Judaization of Palestine. The third, also the Palestinian side is also not coordinating between the organizations themselves inside PLO. What we see that the executive committee say no to this process of negotiation. In spite of this, the line adopted by the leadership of Mr. Abu Mazen is still continuing on only talking and only negotiating by this peace. And that is why one of the reasons that they are keeping everything silent behind the curtains and the Palestinians leaders, cadres and the broad masses, they do not know exactly what is going on in the content of the negotiations. So it is not an acceptable way that the Palestinians, they do not know their future how it is drawn and no one has any right to give any concession or their inalienable rights. More than 500 people have been killed in Aleppo province over the past two weeks as the Syrian regime drops explosives-packed barrels on residential areas and on schools, markets and hospitals, Medecins du Monde said in a statement. “I will forever be haunted by what I have seen these past few days,” one Syrian doctor was quoted as saying. Most hospitals are packed with patients and are running short of medical gear, the group said. “Ambulances are damaged, destroyed or don’t have fuel anymore,” it added. According to the Syrian Observatory for Human Rights, a Britain-based watchdog, at least 151 children were among those killed in the province since December 15. More than 126,000 people have died in Syria since the beginning of the conflict in March 2011. Why designate the Muslim Brotherhood as a “terrorist organisation”? By designating the Muslim Brotherhood as a “terrorist organisation” the interim Egyptian government has hammered the final nail in the coffin of any political settlement that could have mended the deep divisions in the Egyptian political scene. The decision was made two days after a bombing that targeted the Mansoura police department in Dakahlia Governorate, killing and injuring dozens of officers.The Salafist group Ansar Bayt Al-Maqdis, which is spread across the cities and villages in North Sinai and has popular support there, claimed responsibility for the incident in a statement published online and spread by some media outlets. The group said that the operation was retaliation against “the ruling system that apostates Islamic Sharia”. This group is a target for the Egyptian army in Sinai as well as security agents; it was behind the attempted assassination of the Egyptian Minister of Interior, Mohamed Ibrahim, on September 5. Despite the fact that Ansar Bayt Al-Maqdis, which is an ideological enemy of the Muslim Brotherhood and has called President Mohamed Morsi a “disbeliever”, took responsibility for the Mansoura attack, the interim government took advantage of the incident and took its radical designation step, which has dangerous implications; it accused the Muslim Brotherhood of the bombing, giving it the excuse needed for the “terrorist” label. 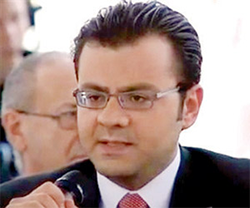 The government’s intention is to eliminate and exclude the Brotherhood from Egyptian politics altogether. The Deputy Prime Minister appointed after the military coup announced the designation on December 25 with some enthusiasm; the Brotherhood has been proscribed by the Egyptian government “locally and abroad”. This decision to ban the movement was taken a long time ago; the Mansoura bombing provided the excuse and opportunity to carry out the threat. After the bombing on December 24, Egyptian and Arab media outlets used, quite deliberately, a fake version of the statement issued by Ansar Bayt Al-Maqdis in which the attack is referred to as “a response to the violence in Egypt against members of the Muslim Brotherhood”. The original statement, however, did not mention the Brotherhood; it focused on accusing the government of being infidels, attacking Islam and shedding the blood of the Muslims. The designation is the latest of many measures taken by the military-appointed government against the opposition, of which the Brotherhood is the most vocal, including the introduction of several laws restricting general freedoms. After the Rabaa Al-Adawiyya Square massacre, which is considered to be the most violent and bloody suppression of a peaceful sit-in in modern history, a number of administrative decisions and security measures were taken in order to eliminate those against the military coup, beginning with the decision of the Administrative Court to dissolve the Muslim Brotherhood and seize its transferred and non-transferred funds last September. The court also issued a number of rulings against the students, minors, activists and political movements that sparked off the January 25 Revolution, such as the April 6 Youth Movement. They even prosecuted judges who rejected the policies of the military government and are now preparing for their trials. The Egyptian media outlets against the revolution, as well as some in the Arab world, have not only contributed to charging the environment with their neo-fascist discourse against the Islamists, but have also labelled those protesting against the military government as allies of terrorists – that is, the Muslim Brotherhood – after the protest law was passed in November. The media targeted the youth in particular, who had a role in overthrowing the Mubarak regime. This atmosphere of exclusion and anti-democracy reached the point where senior police officers around the country took great delight in spreading the news of the arrests of local Brotherhood leaders and members, no doubt hoping to win government approval. Media guided by the security forces insist on portraying the protests against the military coup and the interim government as “a struggle between the people and the Muslim Brotherhood”, as if those protesting against tyranny are protesting against the popular will. Egypt’s television stations are now full of people calling for individuals to be stripped of their citizenship, accusing them of conspiring with foreign parties against the state. Such calls have become official and are used by the government and its corrupt judiciary to imprison members of the opposition on charges of high treason. The designation of the Muslim Brotherhood as a terrorist group was expected from a tyrannical government managed by the military. The government is made up of a combination of members of the old National Party and the traditional opposition that may be considered part of the old regime. This includes the nationalist, Islamist and left-wing forces which were surprised by the January 25 Revolution and were never convinced of its principles favouring democracy. The current government sources its legitimacy from its hostility towards the Islamists, and has worked on turning affiliation with the Brotherhood into a crime as it alone determines who is a “Brotherhood supporter”. The reality is that the government is working on the systematic liquidation of the achievements of the January 25 Revolution, including the role of the young activists of the April 6 Youth Movement, as well as others. According to the Egyptian Official Gazette, the government labelled the “Muslim Brotherhood a terrorist group and terrorist organisation in accordance with Article 86 of the Penal Code”. This means that the terrorism law will be applied to the largest political party in the country that won 40 per cent of the seats in the dissolved parliament and over a quarter of the votes in the first round of the presidential elections in May 2012. The law’s first article includes a very general and ambiguous phrase: “the punishments legally prescribed for the crime of terrorism will apply to anyone involved in the Brotherhood’s activities or who promotes the group verbally, in writing or in any other way or anyone funding the group’s activities.” This makes millions of Egyptians who do not approve of suppressive policies against the movement’s members and their prosecution, or even those who call for reconciliation with the group, liable to prosecution under draconian legislation. This does not mean that the government will imprison every member of the Muslim Brotherhood and punish them, but it does mean that the government has armed itself with a heavy weapon to intimidate political opponents, whose members can so easily be branded as “Brotherhood supporters” and dealt with by the anti-terrorism law. Such neo-fascist moves have no place in a genuine democracy; anti-terrorism laws were never designed to suppress political parties in any other country, not to mention a party with vast social and political support. In order to understand the serious implications of this law, we can trace the grave violations that accompanied the issuance of the anti-terrorism laws adopted around the world post-9/11 and the spread of the so-called war on terrorism. It is now possible to arrest citizens on suspicion of being a terrorist, detaining them until it is proven that they are not terrorists. Article 86 of the Egyptian Penal Code is derived from the concepts of that period of the neo-conservatives and their war on terror. The danger of this law lies in its “exceptionality”, in that it is the opposite of the conventional judicial principle that the accused is innocent until proven guilty. It is even more dangerous in Egypt in light of the authoritarian government’s ability and willingness to detain any Egyptian citizen until they are proven not to be a Muslim Brotherhood supporter. Hence, the law not only threatens those who are members of the Muslim Brotherhood or their supporters, but also threatens millions of Egyptians who may one day think of protesting against the military-led government. They may be subjected to exceptional trials in the name of the fight against terrorism. One of the most important results of the January 25 Revolution was the restriction of the emergency law that governed the country for over 30 years, in which thousands of military trials were justified during Mubarak’s rule. The revolution made it impossible to extend the state of emergency for over a month without the consent of the majority of the People’s Assembly members. However, the military government insisted on eliminating this achievement by passing two new laws, namely the protest law, which was approved by the interim president Adly Mansour in November, and the activation of the anti-terrorism law with its exceptional nature by declaring the Muslim Brotherhood a terrorist group. This gives the current government the maximum authority in arresting and prosecuting members of the opposition in military trials. Based on this, it seems that the composition of the new laws not only intend to eliminate the Muslim Brotherhood and its allies, but also aim to reshape the state of emergency, and allow the security government to eliminate any resistance to the dictatorship and the restoration of the pre-revolution security establishment. The designation of the Muslim Brotherhood is not only a setback to the principles of dialogue and democracy but also a direct blow to the roadmap announced by Defence Minister Abdel Fattah Al-Sisi following the ousting of President Mohamed Morsi, which he claimed was the key to resolving the political crisis in the country. Although some believe that the measures imposed by the current government aim to force the Brotherhood to accept a political settlement that legitimises the military coup and the new political system it swept in, it has now become clear that the dictatorial tendencies of the military government are stronger. It wants to exclude any opposition and has a strange determination to act alone despite the continued protests and international condemnation of its human rights abuses. Finally, the government’s designation appears to have put an end to the efforts within Arab circles over the past two decades to reconcile the Islamic and secular trends. It will also, without doubt, drive many Egyptian Islamists to go underground, which may also drive some towards extremism and the use of violence, having been deprived of their rights to express themselves through peaceful means. Since the price of peaceful activism has become death or lengthy prison sentences, the state that has labelled many of its own citizens as terrorists is actually pushing them to become terrorists in a bizarre self-fulfilling prophecy.